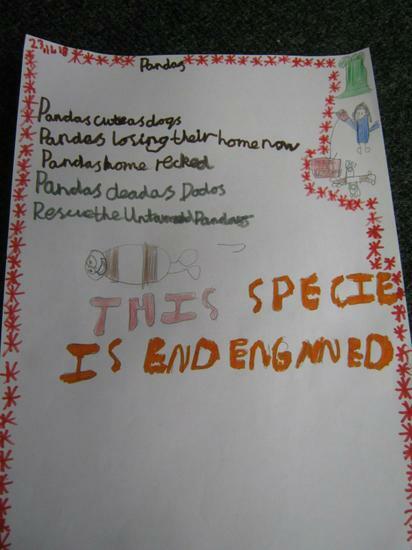 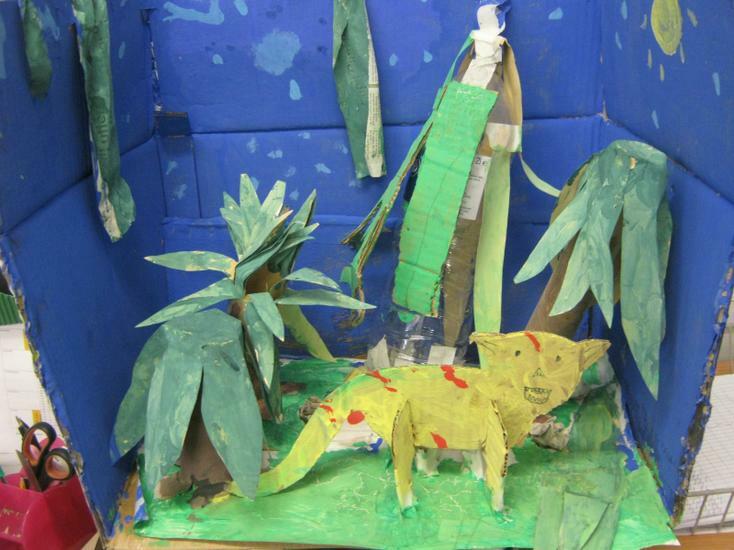 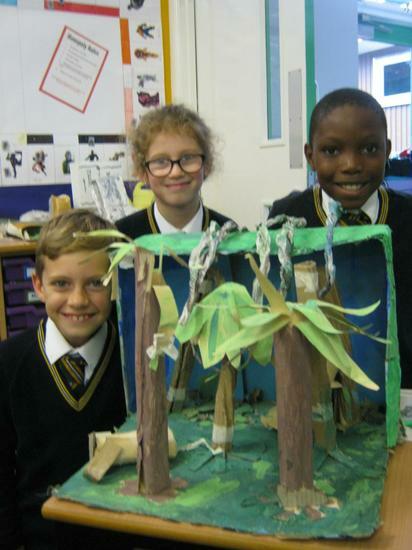 In year 4 we have been working on endangered animals, the changes in their habitat and how it affects them. 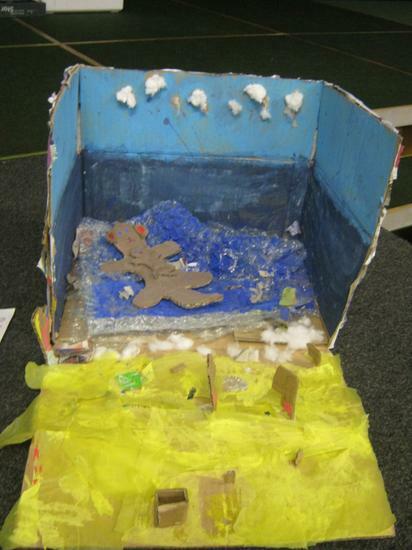 We used this as the central area of our project. 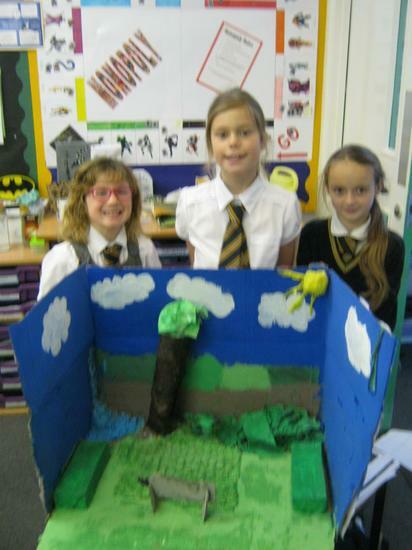 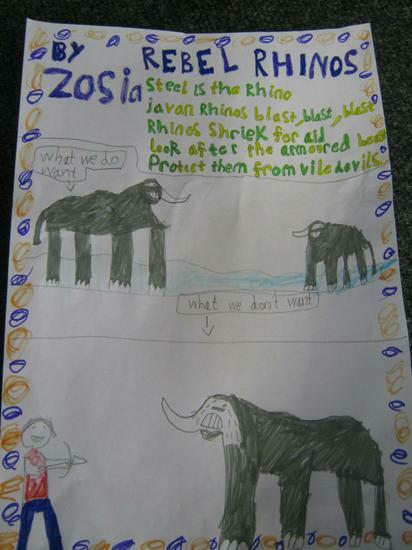 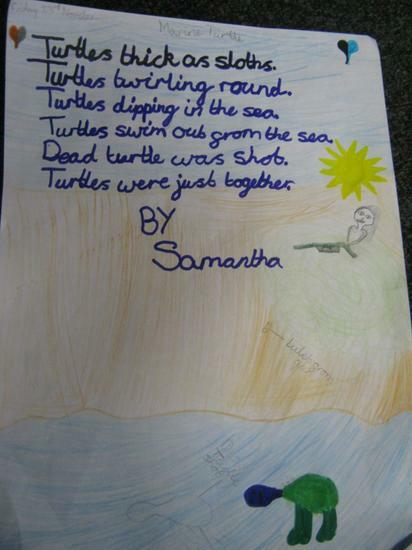 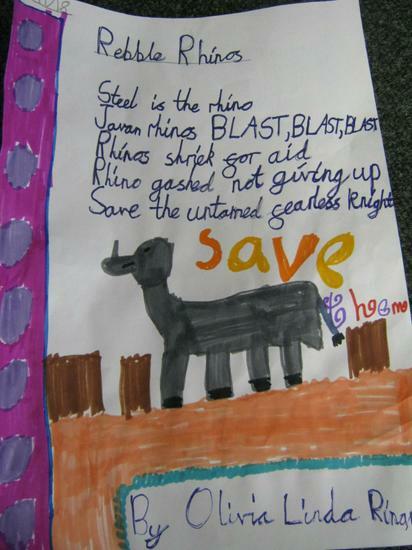 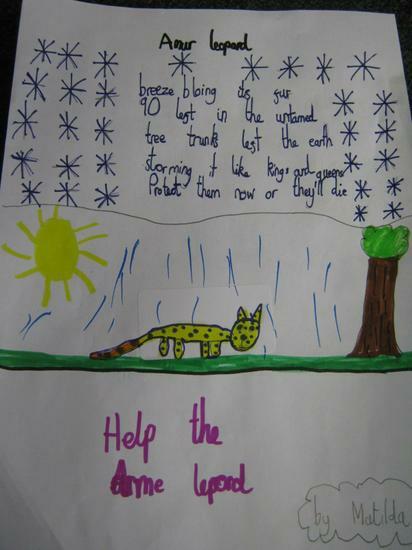 For science and our homework we chose an animal and its habitat to research, to find out what particular problems they faced to their survival and created either a power point, poster or writing frame to present our findings to an audience, in the hope that our message to save the environment would help improve the animals prospects. 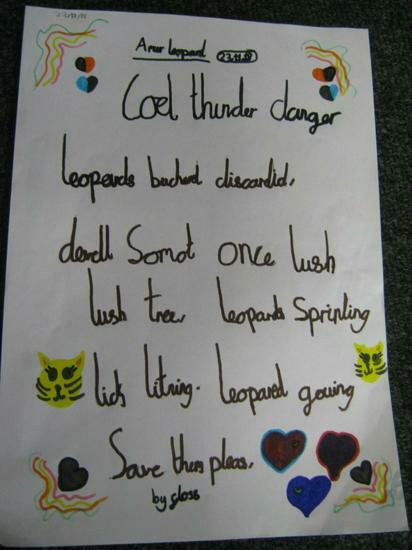 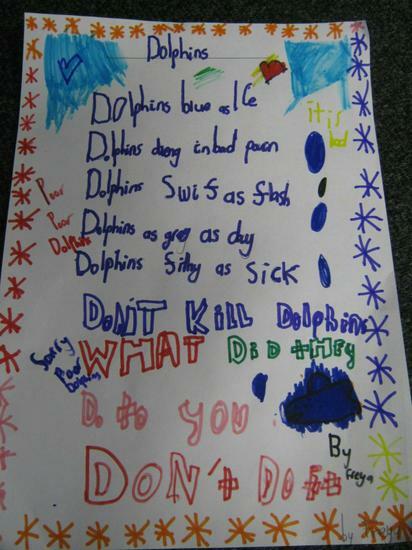 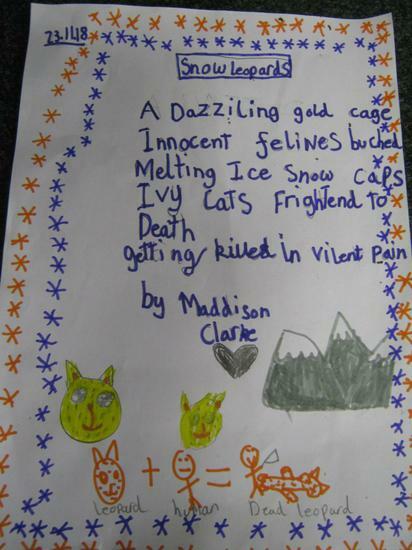 Following our research, we were able to use our knowledge of our chosen environment and animals to write, first haiku poems and then added to them to make tanka poems (these are 3 and 5 line Japanese poems based on syllable patterns) about our chosen animals. 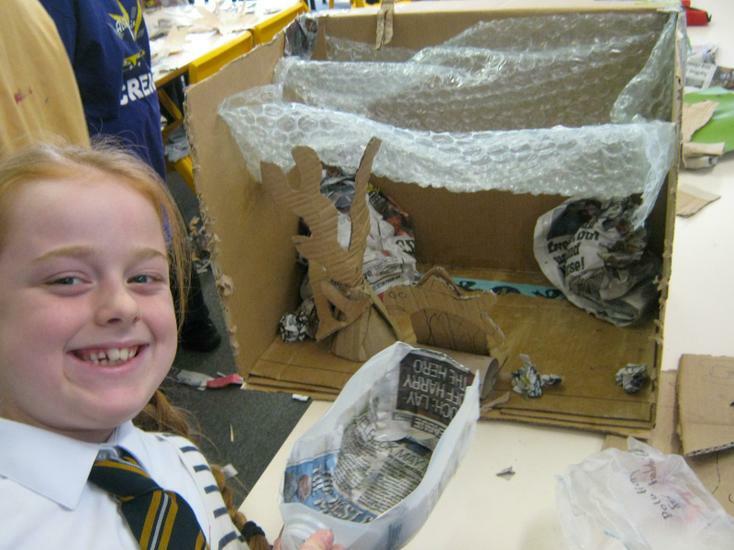 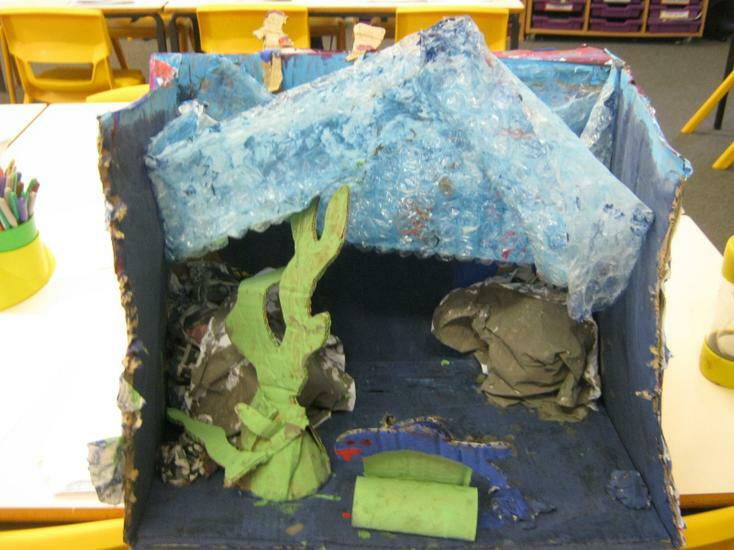 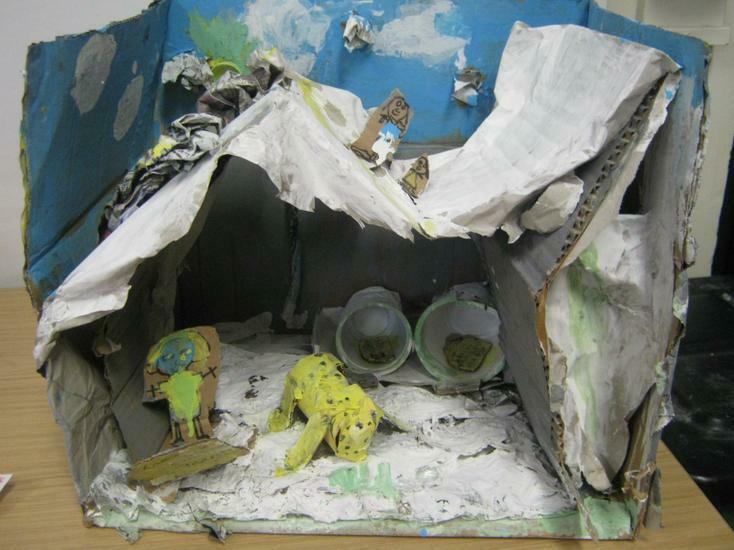 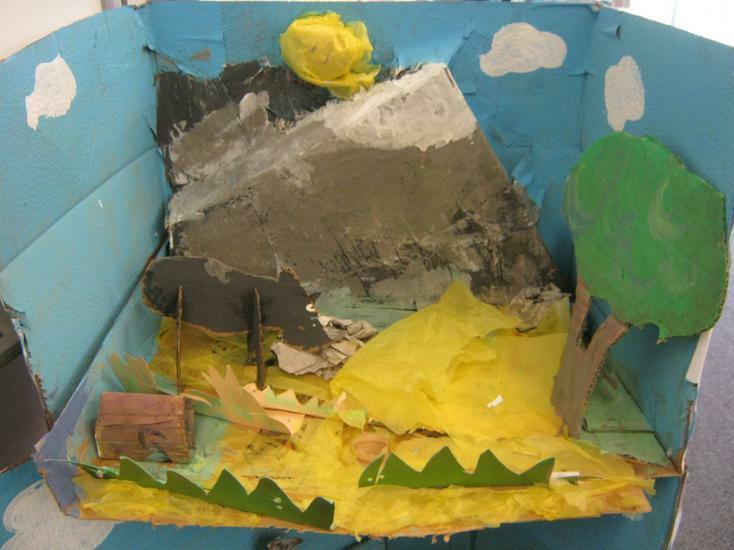 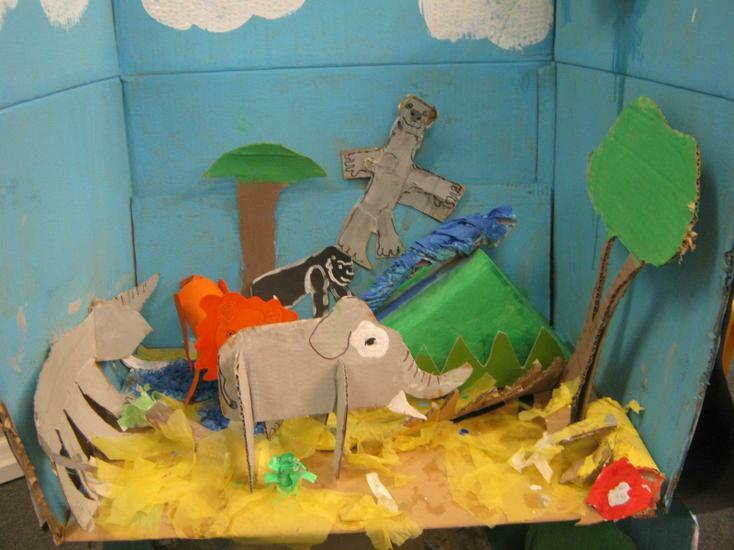 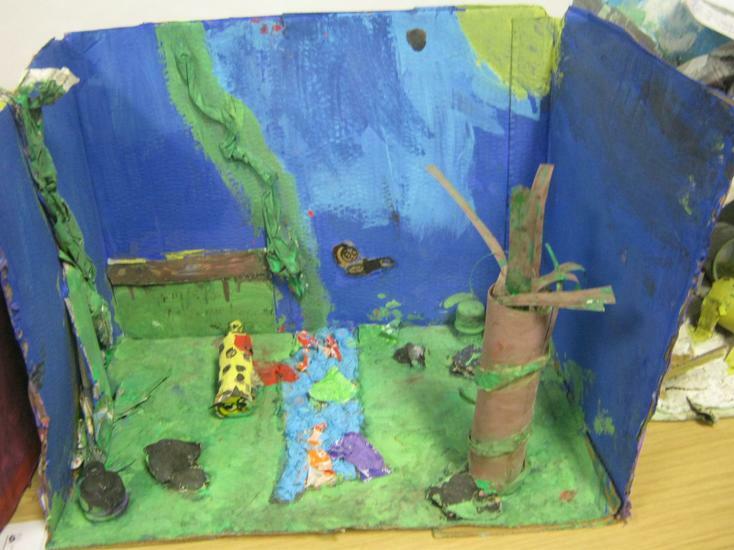 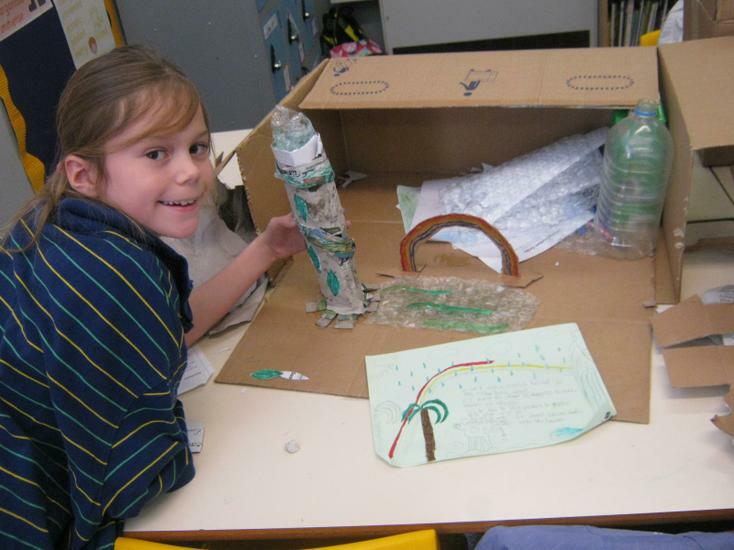 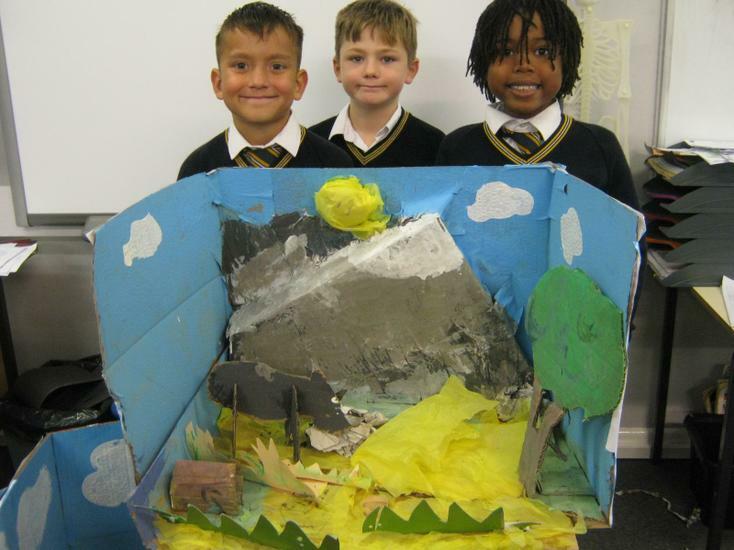 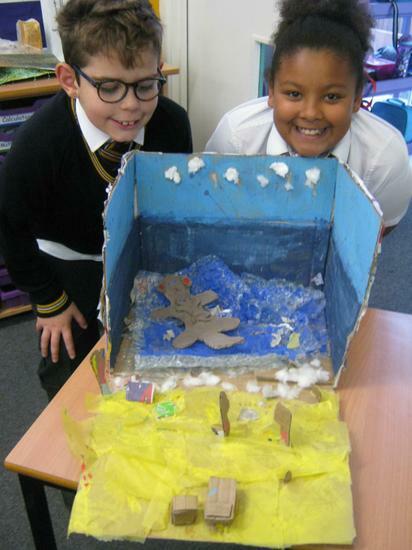 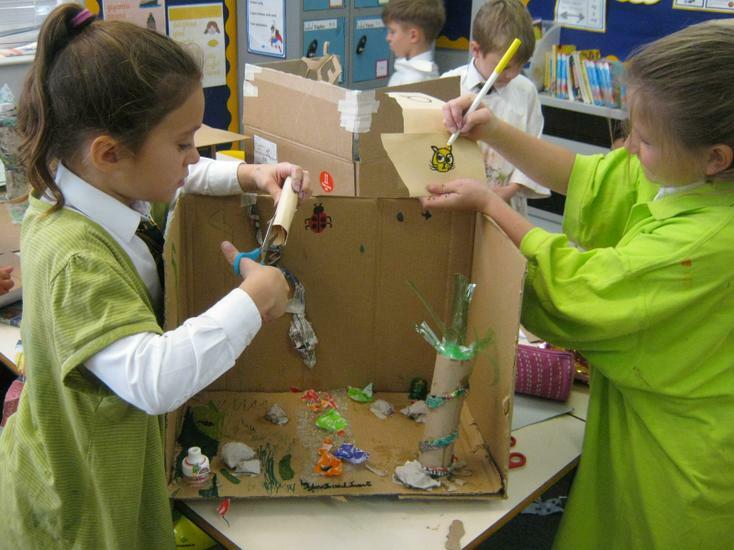 Finally we used recycled materials to create various habitats for our animals showing how they had been affected by, pollution, fragmentation, destruction and hunting. 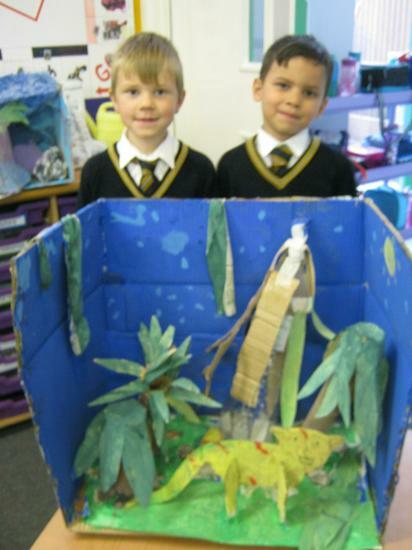 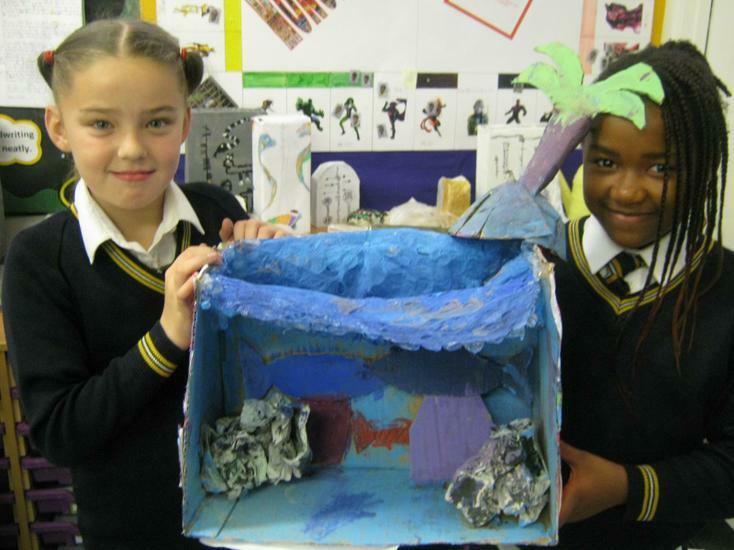 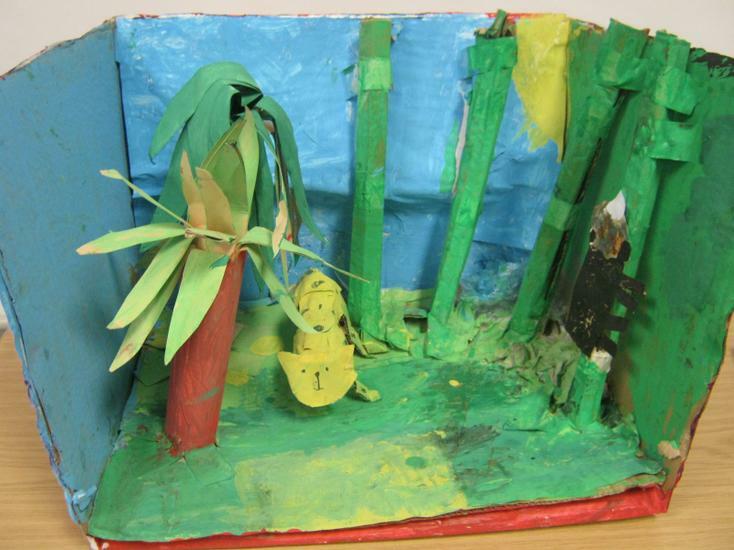 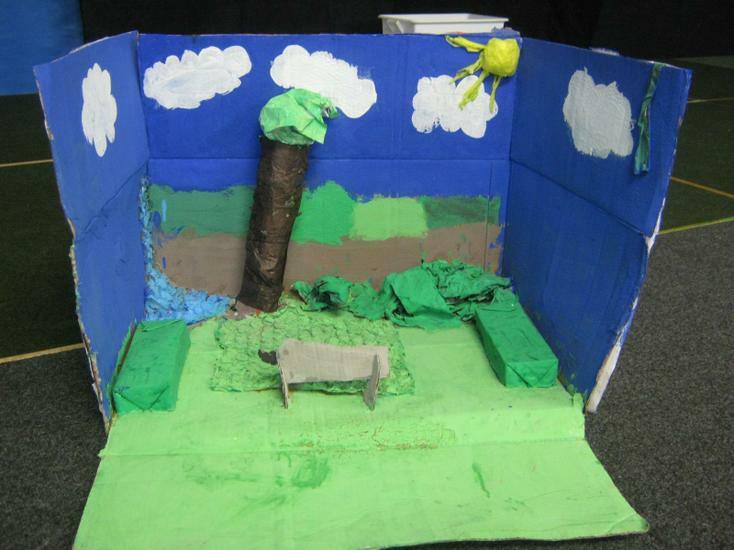 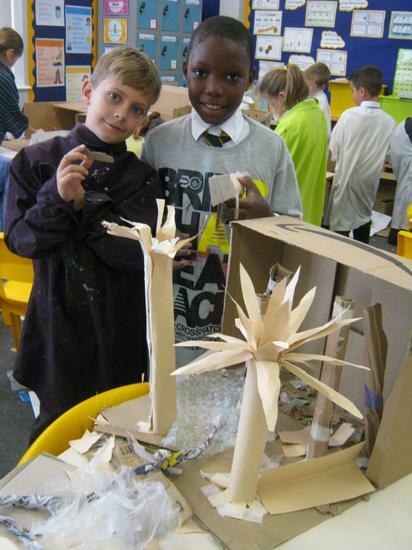 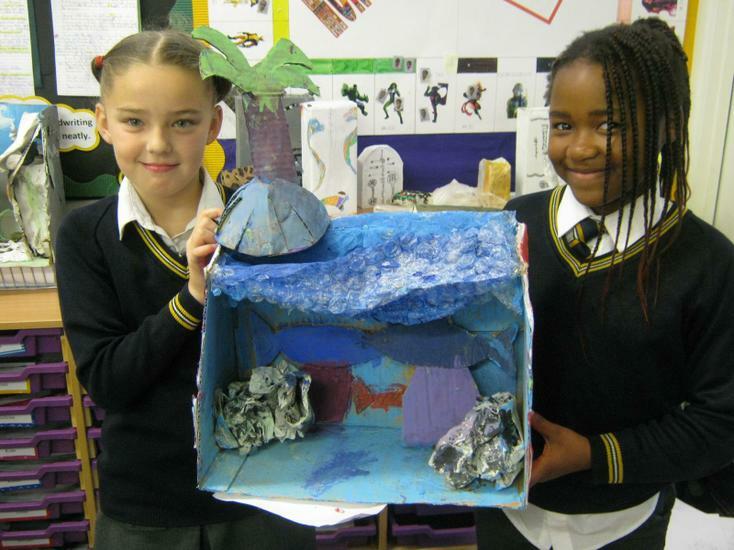 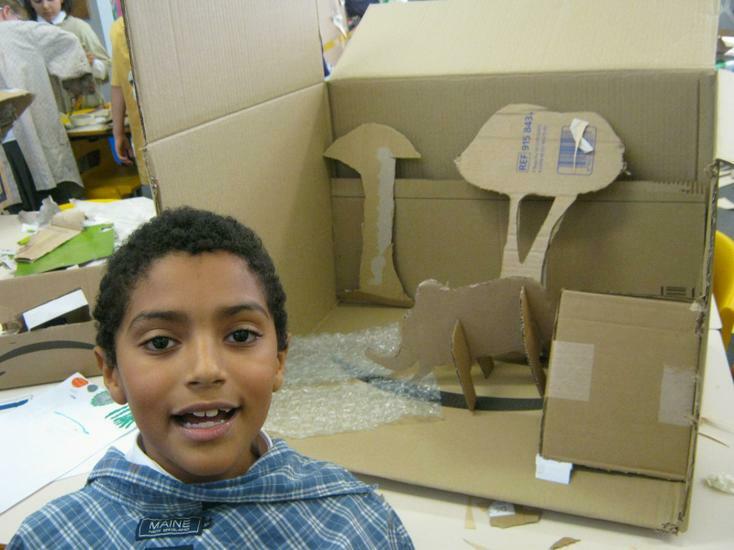 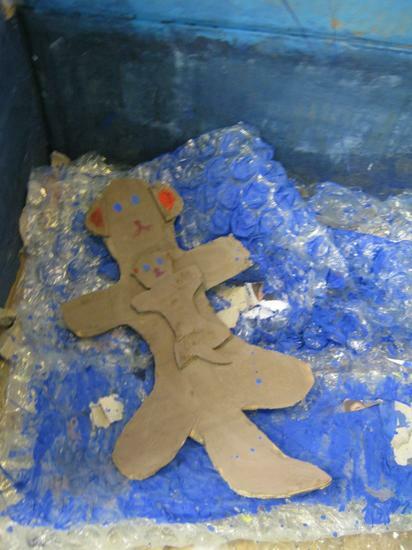 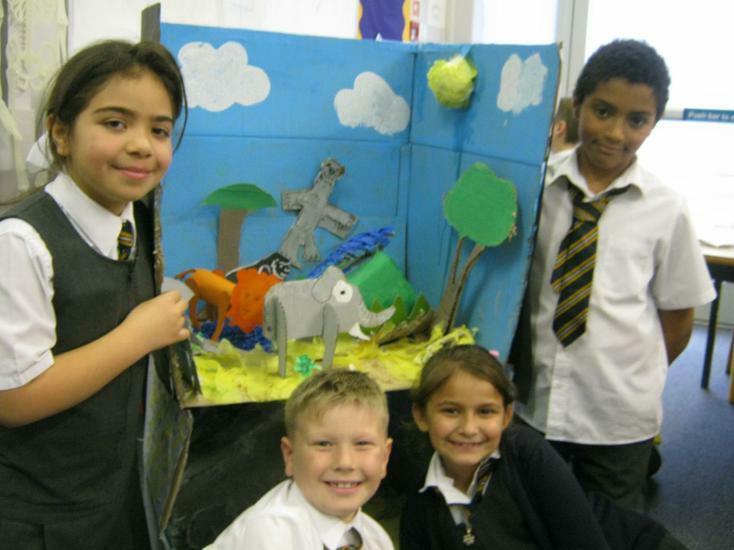 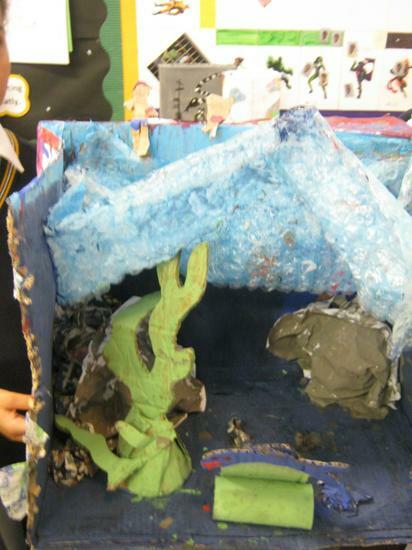 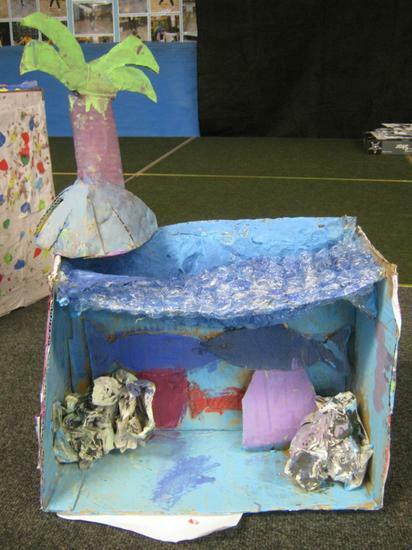 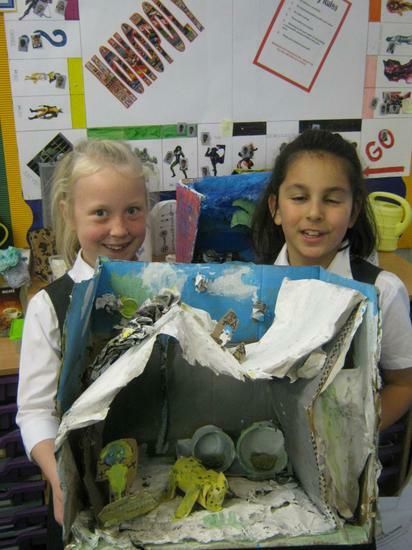 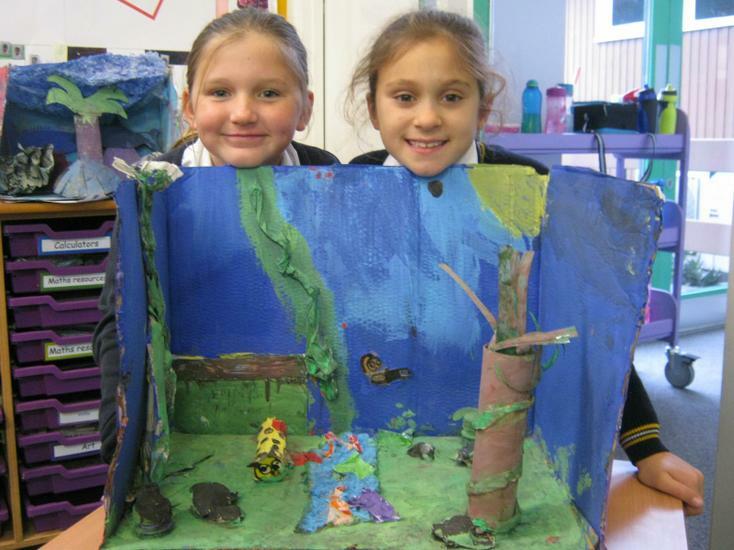 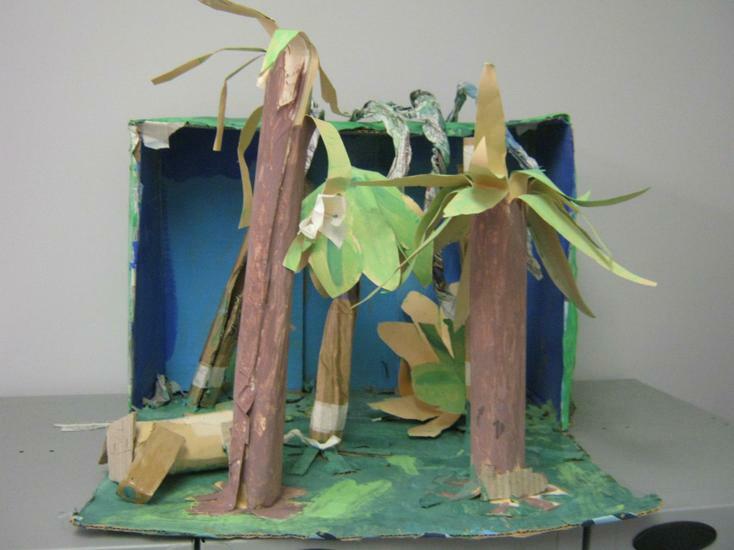 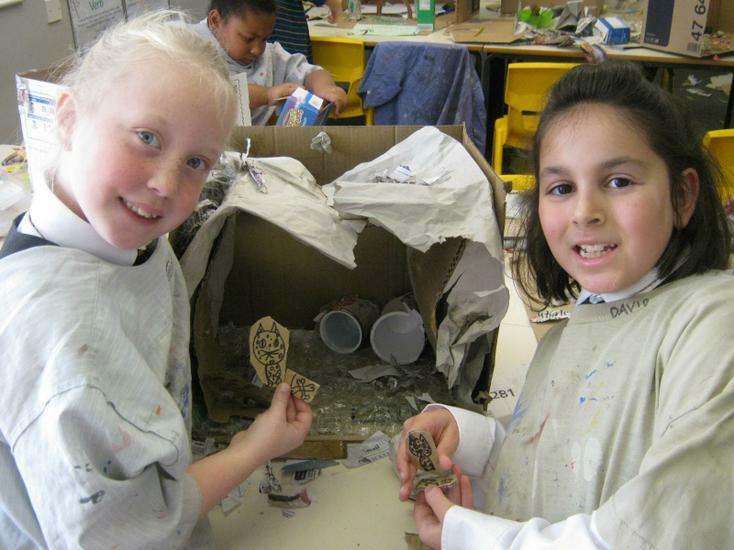 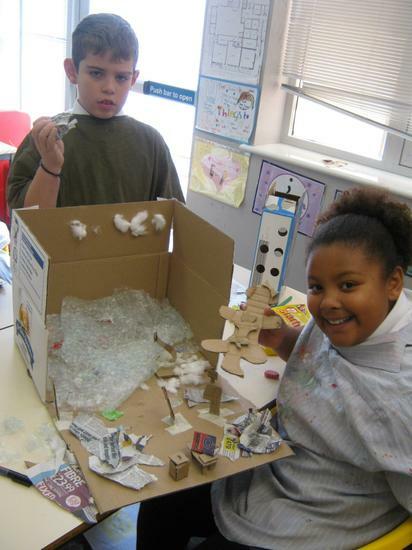 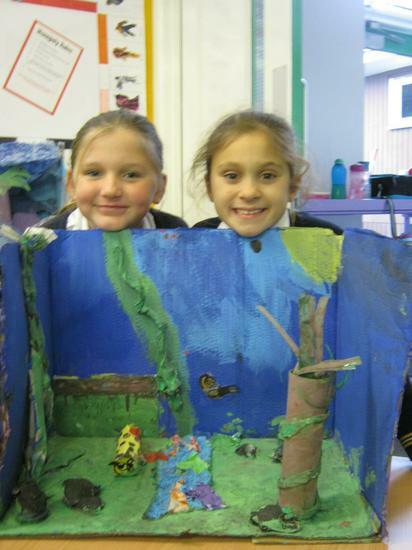 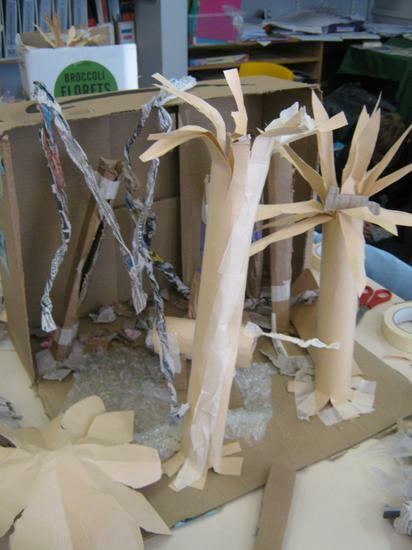 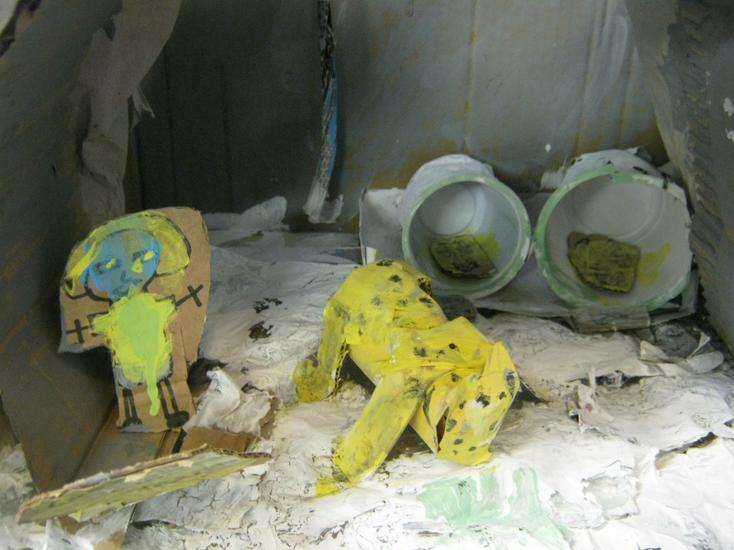 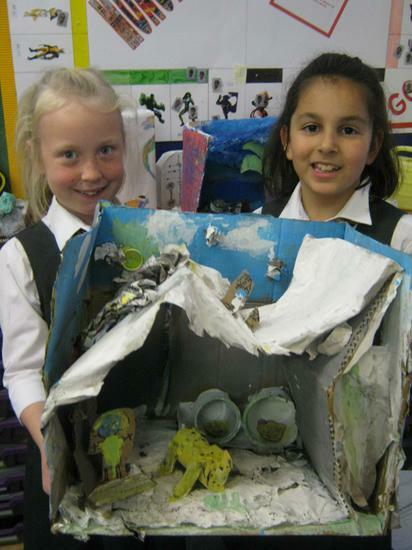 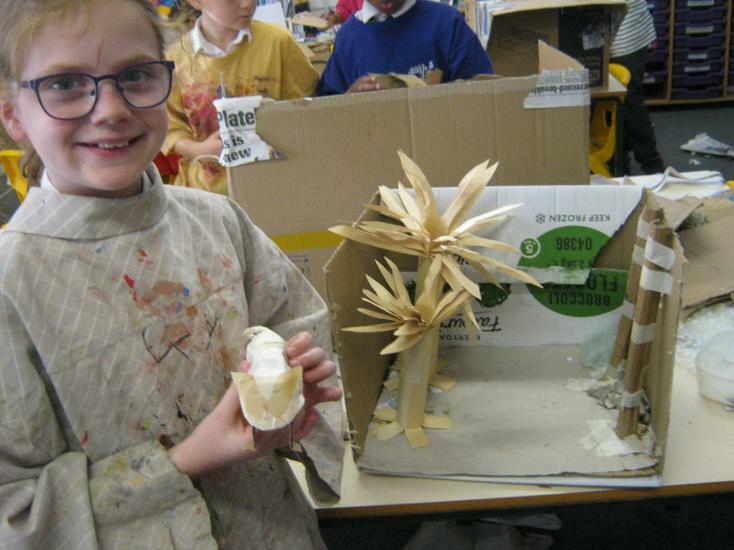 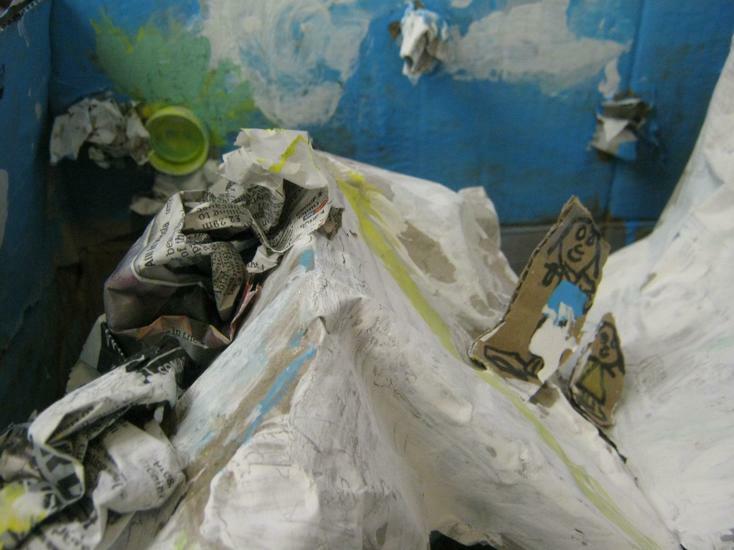 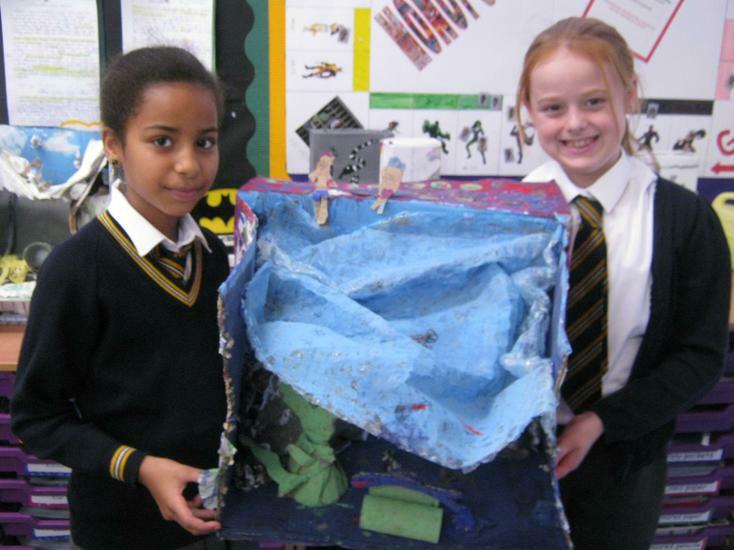 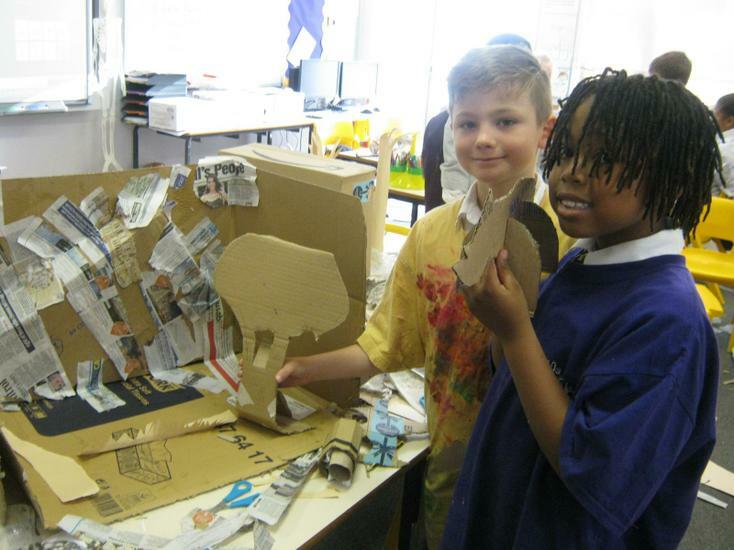 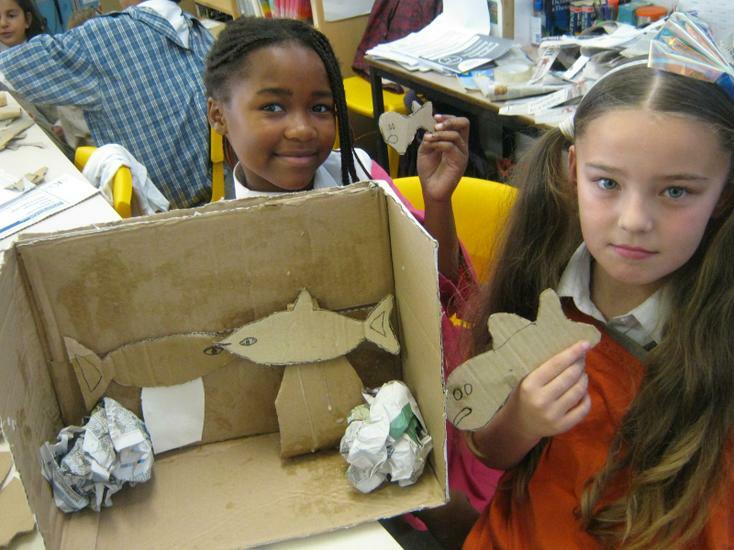 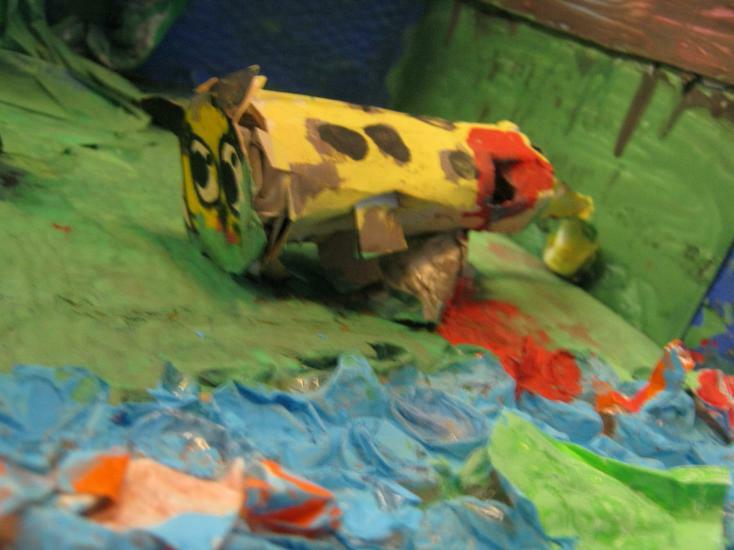 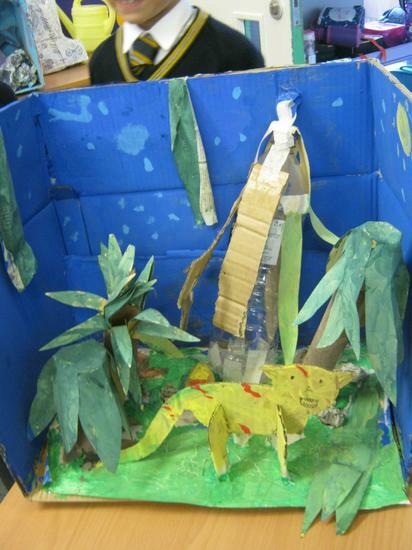 We learned a lot from our multidisciplinary environmental project which encompassed DT, Art, Science, English and PSHE. 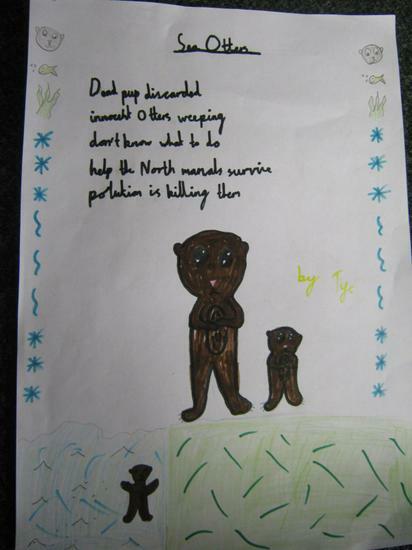 We sincerely hope you have learned something also.